June Isn’t Too Late for Air Conditioning Maintenance! The winter weather certainly hung around for a long time, didn’t it? Nobody likes to deal with snow that far into the year, but we’re finally hitting the warm weather stride here in June. If you haven’t arranged for a visit from one of our HVAC experts to give your air conditioner a pre-season tune-up and inspection, it’s definitely not too late! 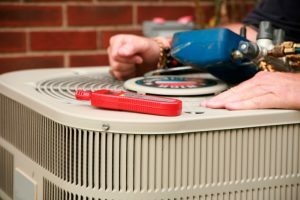 The hottest weather is ahead of us, and as long as you’ve got your AC in good condition with routine maintenance before it starts to put in the heavy work, you should be in great shape for the season. Posted in Air Conditioning | Comments Off on June Isn’t Too Late for Air Conditioning Maintenance! The weather is warming up here during last weeks of spring. The hot days are still yet to come as we move toward July, but you can expect to have your air conditioning system hard at work before then. 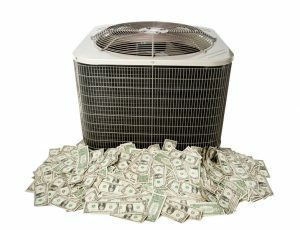 It’s important to us that you have an AC that will make it through the summer with few problems. Of course, we’re glad to have your business whenever you need air conditioning repairs in Plattsburgh, NY or elsewhere in Northwest Vermont and Northeast New York. But we also want you to enjoy the best in comfort and energy savings, and that means helping you find ways to avoid having to call us for emergency services. 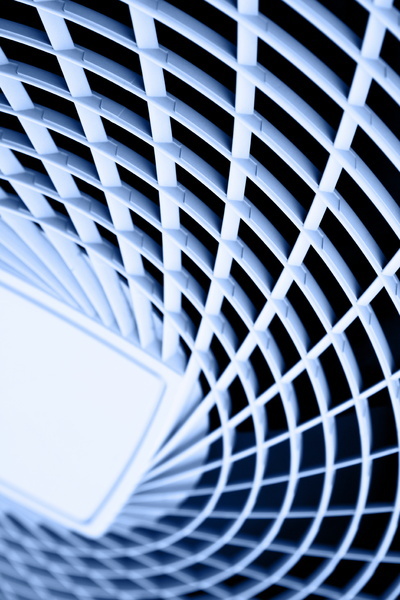 We often talk about preventive maintenance for HVAC systems during the spring and fall. These are the seasons when we experience milder weather, and that is an ideal time to have HVAC equipment worked on, repaired, or replaced. It gets a house ready in time for weather extremes and takes advantage of a generally slower time for heating and cooling professionals so it’s easier to schedule an appointment that’s convenient for you. We’re in the second half of spring, and if you haven’t thought much about maintaining your air conditioning system in Plattsburgh, NY—even if you’ve already had it running for a couple of days—it’s not too late to have it done! An important part of providing air conditioning service for our residential customers is helping them avoid air conditioning service as much as possible. Yes, this sounds like a self-defeating goal, but the aim of our company is to make sure our customers have the finest in comfort. Finding ways to help our customers’ air conditioning systems work at their best and without the need to call us for emergencies is something we’re glad to do. It was only a few weeks ago that a major March blizzard struck most of the Northeast, including here in Burlington and Plattsburgh. The weather has warmed up a touch since then, but we’re still experiencing cold tempeartures at the official start of spring. It may feel as if the real spring warmth is a long ways off. But it isn’t! April is the month when the last of the cold weather stirs around and finally gives way to the heat that rises until its mid-summer peak. Even though we’re still dealing with chilly outdoor temperatures, this is the time of the year to start thinking about your air conditioning and ready it for the coming hot weather. We’ll look at how you can prepare your home’s AC for the late spring and summer. Taking care of your home’s heating system to prepare it for winter is an essential step to take during the fall. However, your air conditioner requires some attention at this time as well. If you have a standard split-system AC (i.e. it has both indoor and outdoor components), it’s important to follow a few steps to “winterize” the air conditioner over the long months of cold when it won’t be running. This will help ensure its best operation when it starts up next year. These steps will protect the unit from snow as well as from rust. 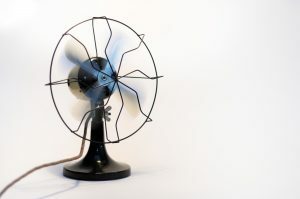 If your home’s HVAC system is like most in the region, it consists of an air conditioner and furnace installed within a single cabinet that connects to ductwork and uses the same blower fan. Air enters the cabinet through a return air duct, and between this duct and the cabinet sits a special filter. The filter protects the internal components of the AC, furnace, and blower from dust that can lead to stress on the mechanical parts. Can I Take Care of Air Conditioning Maintenance on My Own? 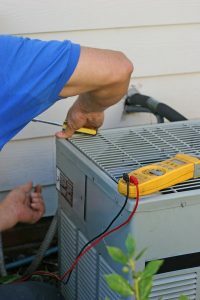 Have you already arranged for an air conditioning maintenance visit from a professional HVAC technician? If you have, that’s great: you’ll have the best preparation possible for the coming summer, as well as a system that will operate at its peak efficiency level. 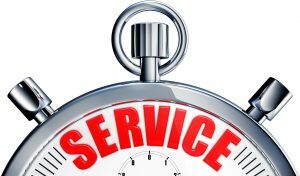 Posted in Air Conditioning | Comments Off on Can I Take Care of Air Conditioning Maintenance on My Own? For any quality HVAC contractor, spring is the season of air conditioning maintenance. It’s certainly the time when everyone here at Red Rock Mechanical recommends our customers schedule their annual inspection and tune-up to get their cooling systems prepped for the hot weather ahead.